Get ready for summer’s produce bounty while being original, light, and refreshing at the same time. In a cocktail shaker, muddle 4 cantaloupe cubes, 1 pineapple cube, and a cherry. Add ice. 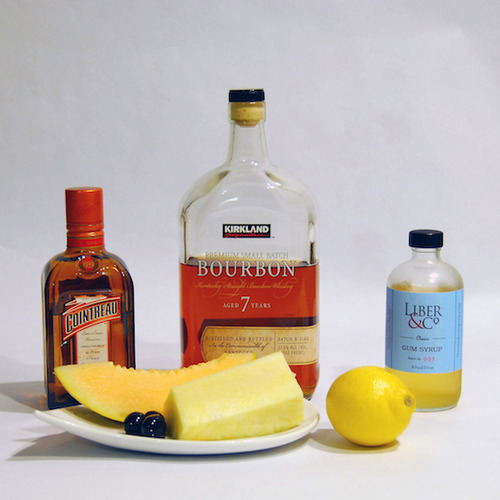 Add lemon juice, simple syrup, orange liqueur, and bourbon. Shake well and strain into an ice-filled lowball glass.